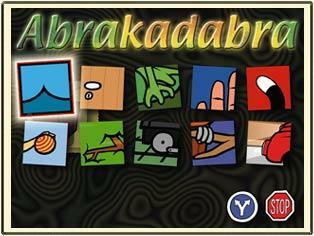 Abrakadabra is designed to help develop visual perception skills, early switch techniques and language development. It is suitable for all ages and as a focus for language development. It is a cause and effect program with superb graphics and sound. Three levels of difficulty (simple graphics to complex scenes) each with ten different scenes to build. There are 30 different pictures that are built up in stages by pressing a switch, clicking a mouse or pressing a key on the keyboard. Each time the switch/key/mouse is pressed more of the image will be built up. When the picture is complete a sound and an animation will play. The sound/animation will continue until the switch/key/mouse is pressed again. Compatible up to Windows 8.